If you live in the middle or western part of Loudoun where you enjoy a parcel of open space near your property (which probably was put into an open space easement as a condition of the approval for construction of the development), be on notice that those quiet natural or agricultural areas may cease to be so after a vote of the Loudoun Board of Supervisors this Thursday, October 20. The Board will be voting again on permitting 18 new uses for these properties in open , adding noise, traffic, strains onwater and septic systems, and activities inconsistent with the Comprehensive Plan and the terms of many of the easements themselves. No outreach to affected property owners has been made. 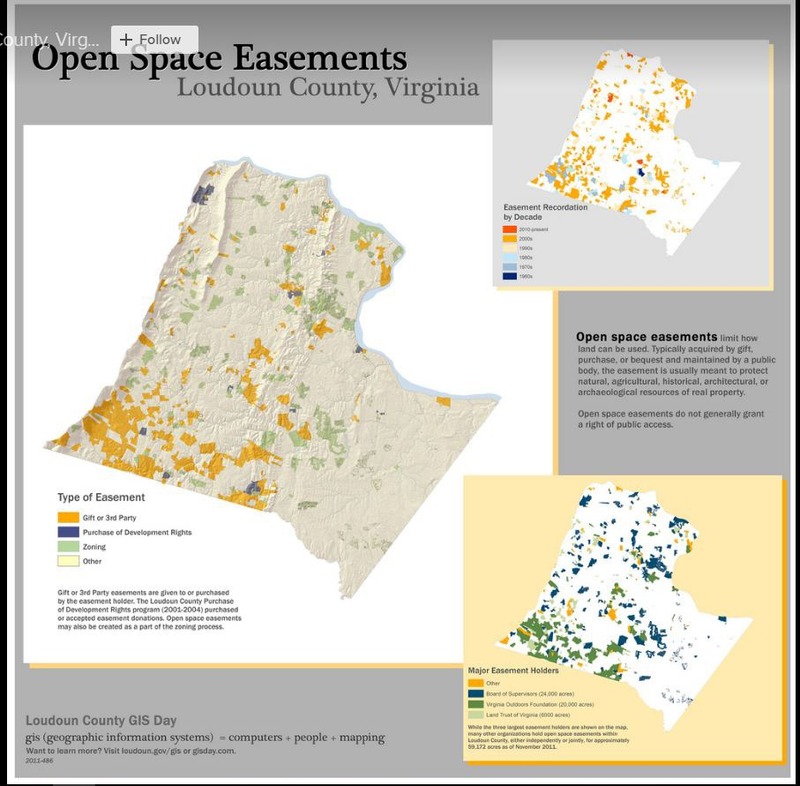 There are 290 such easements in 2,750 parcels covering 22,500 acres in Loudoun. Of these parcels, 694 are owned by homeowners’ associations and 2,056 are owned privately. Many residents will be affected. The changes, proposed by the county’s appointed Zoning Ordinance Action Group (ZOAG, its members, mandate, and more can be seen at https://www.loudoun.gov/zoag) , were rejected by the Planning Commission this summer after many citizens raised objections. But the group has once again pressed for these changes through the Transportation and Land Use Committee, which voted to send the changes to the full Board. There has been no analysis of the effects of these changes on neighborhoods—noise, traffic, etc., and no performance criteria for the new uses. The new proposed uses for these farm fields and forested areas include restaurants, agricultural processing facilities, “agri-education,” “eco-tourism,” pet farms, tenant dwellings, and pick your own farms. To this list the ZOAG wishes to add breweries, wineries, private clubs, overnight camping for unlimited number of campers, outdoor ampitheaters, animal care businesses, antique shops, art galleries and more. The preservation of these land parcels in open space or traditional agriculture as a condition of a developer’s permit to build is not only an amenity that those purchasing homes expected to be honored, it is consistent with the rural landscape as a vista to be enjoyed by all Loudoun’s citizens. Any changes to the permitted uses should continue to reflect the public interest. for a map of easements in the county. Then ask your supervisor vote against changes in permitted uses in these areas, and request that any future proposed changes engage affected citizens as a first step, and not after the deal is done.